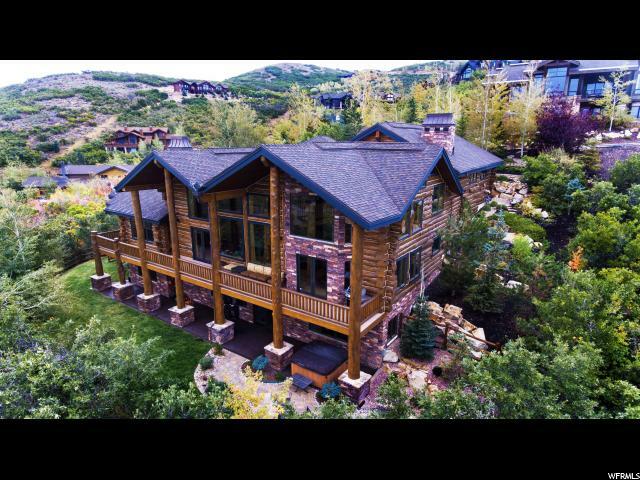 All HIDDEN OAKS homes currently listed for sale in Park City as of 04/25/2019 are shown below. You can change the search criteria at any time by pressing the 'Change Search' button below. 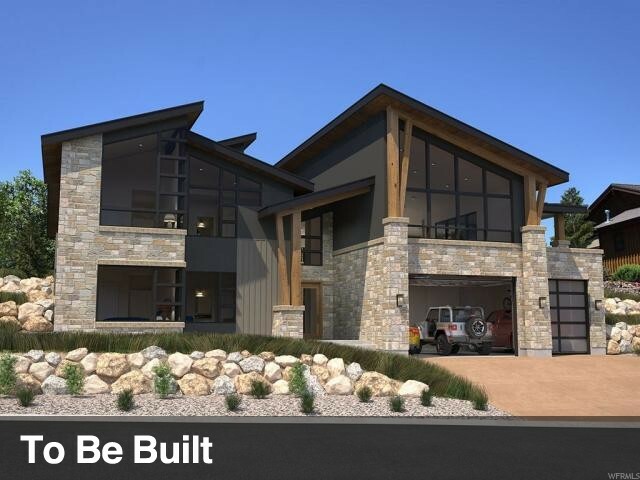 "As you walk through the front door of this beautiful new home, you will be delighted by the panoramic views overlooking Park City and beyond. With exquisite designer finishes throughout, this downhill floor plan offers a Main Level Master Suite with the remaining bedrooms and bathrooms thoughtfully located to offer privacy and space while providing multiple gathering areas for eating, drinking, game watching or pool playing. There is the stunning Great Room with floor to ceiling stone fireplace and two additional family rooms, each offering beautiful views of the surrounding mountains. The large, professional grade kitchen is another wonderful gathering area with oversized kitchen island with quartz countertop and semi-formal dining. Additional features include oversized picture windows and sliding glass doors, showcasing those gorgeous views, custom Italian cabinetry, designer light fixtures, large Butler's Pantry with prep sink and abundant storage, steam shower, Home Theater, heated 3-car garage and heated driveway. Visit 3555sunridge.com for more information." "This beautiful mountain Contemporary home is located in the Hidden Oaks subdivision of Lower Deer Valley and is now complete! Step through the front door and you'll be overcome by the spectacular views of Iron Mountain, Park City Ski Area and beyond. The home features a Main Level Master suite with office and private balcony and stunning Great Room with spectacular views. The house was painstakingly designed to capture those views from almost every room. The spacious kitchen is equipped with top of the line appliances, oversized kitchen island and large, walk-in pantry, making it ideal for professional and novice chefs alike. The lower level features three very large, ensuite bedrooms and a secondary family room, games area and wine room. Other notable features include wrap around deck, oversized three-car garage with plenty of storage, fantastic ski prep and mud room and large laundry room." "Newly constructed single family home in Deer Valley. As one of the few build jobs remaining in Deer Valley, this home offers expansive views in several directions of the home. A large open floor plan allows you to gather with your friends and family for entertaining. Enjoy the oversized deck and watch the sunset in the late evenings. Easy access to skiing in the winter months, hiking/biking trails in the summer months makes this an outstanding recreation home in all season. Short 5 minute drive to Historic Park City Main Street, 35 minutes to Salt Lake City International airport." "Spectacular one of a kind custom log residence, approximately 6,900 square feet. Featuring elegant custom interior appointments wrapped around five spacious bedrooms and bathrooms.Thoughtfully placed entrainment spaces, three fireplaces and a beautiful patio with fire pit sure to please entertainers. Two laundry rooms, ski prep area, pool table, loft area, temperature controlled wine room, offices, wet bar, all with custom built-ins and superior finishes. The heated driveway, air conditioning on all three levels, radiant heated floors makes this the perfect home to enjoy summer and winter. Impressive views of Park City Mountain resort and the Canyons. Conveniently located minutes from he Deer Valley & Main Street. Enjoy mountain biking and hiking trails just outside your door.Furniture is negotiable. No HOA fees and weekly rentals are allowed. "